Now you can get all of the essential self-improvement essays from dirtSimple.org in a portable, easy-to-browse 6x9" format, for as little as $1.25 per essay! ($29.95 plus shipping and handling). Jack Thomas: "There is so much useful stuff in this book about motivation, setting goals, mind body balance, the list goes on.... I recommend it for a good think and a challenge to your perspective on life"
Keith Martin: "I discovered Philip Eby's blog Dirt Simple a couple of months ago, and his approach to mindfulness, mind hacks and getting things done resonated well with me. So when he collected his best posts and published them as a book, I happily ponied up his asking price and bought one. I'm glad that I did." FictionFobic: "Why not insert a new program to upgrade the system? We do that daily at work and at home. Why assume that habits and patterns are fixed? Download a new driver and the glitch will be fixed. Familiar and reasonable words and indeed every lesson that is learned supports the case." Why the body is the key to the mind, and not the other way around! Why avoiding the things you dislike usually makes them worse, not better! Why intelligent people are often far less happy with their lives than people of average intelligence, and what they can do to change this! Want to see what it looks like inside? Take a look at this 62-page PDF sampler that includes a sneak peek at the first few pages of Time and Awareness: The Refactored Self Part 2 -- an exclusive bonus essay that you won't find on this website or anywhere else. 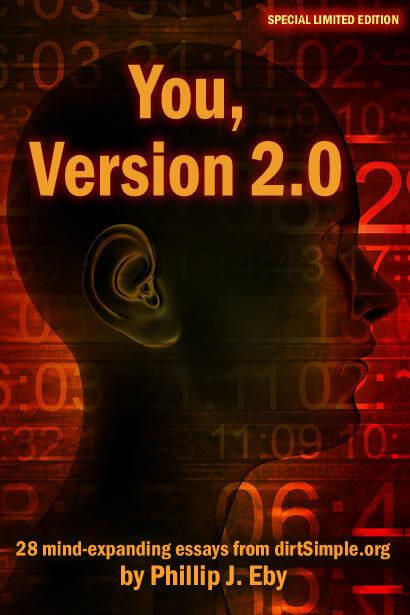 This exclusive essay provides a detailed explanation of how I did the "mental refactoring" described in The Multiple Self and Self, Version 2.0, so that you too can change the beliefs that are holding you back from a fulfilling life.